When it comes to your health, testosterone is a major player as it helps build an anabolic environment that is important in the muscle-building process. This hormone is also necessary for your strength, boosting your libido and improving your overall health. In a nutshell, testosterone is what makes men, men. We can all agree that these facets of life are essential so it is so important to ensure that your body is in top condition to produce more testosterone. You might think the only way to boost Testosterone is through taking pill, patches or injections. However, these days there are many ways to raise your T score. One way is by following a testosterone-boosting diet. Boosting your T levels can be the key to unlock your real potential. 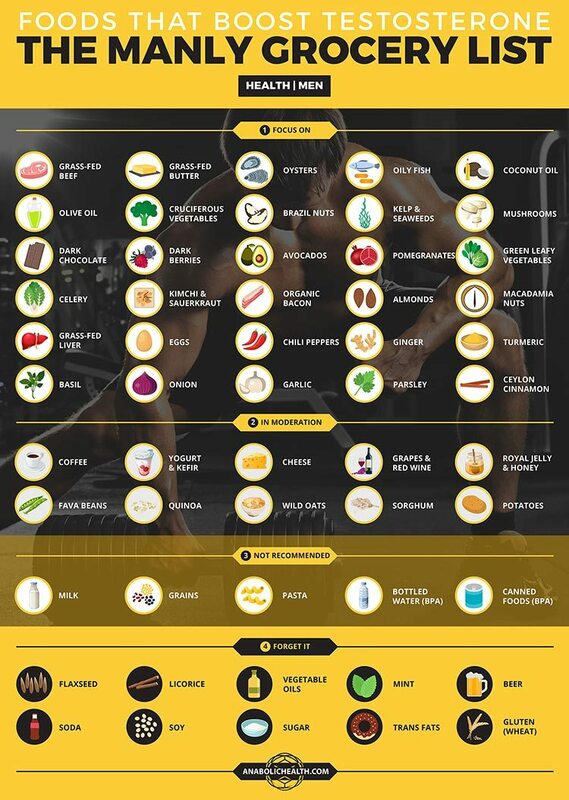 Here’s our infographic on foods that can help boost your testosterone, The Testosterone Grocery List.